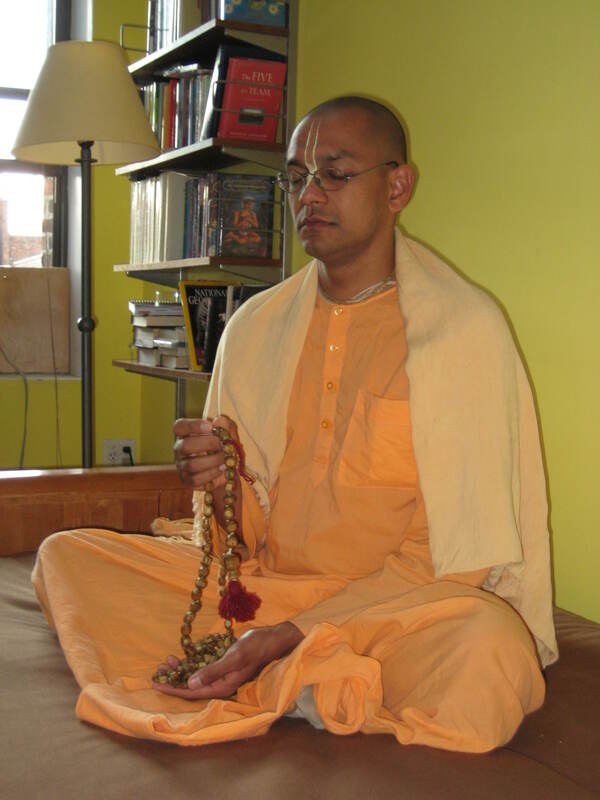 Several months ago, I posted a link here to a great radio story I heard on National Public Radio about Gadadhara Pandit Dasa, a 36-year-old Hare Krishna monk and Hindu chaplain at Columbia University. 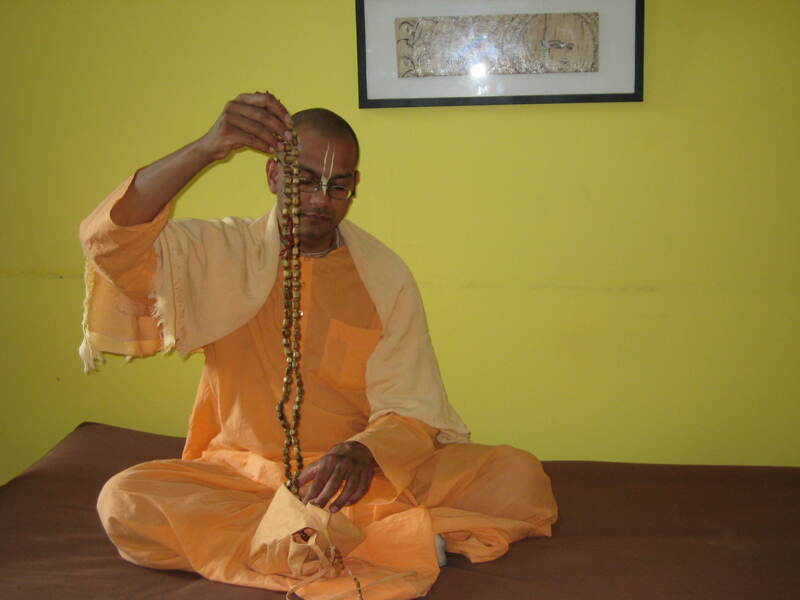 I loved the story, which was kind of a day-in-the-life feature, and was thrilled when a photo accompanying the story showed Pandit praying with prayer beads. 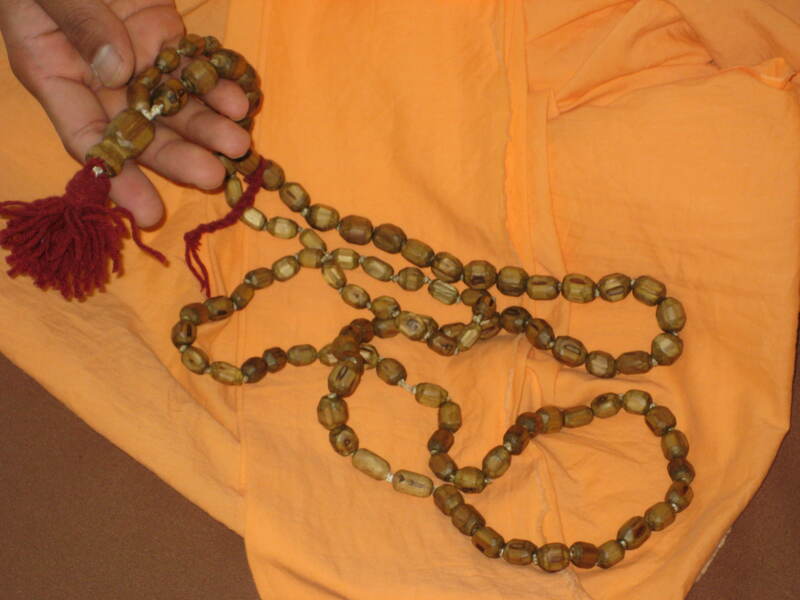 I sent a link to that post to Pandit in New York, and he sent me a lovely reply and agreed to a phone interview about his prayer beads and how he uses them. We talked last month. The prayer is taken from one of the Upanishads, a sacred Hindu text, in which the god Brahma describes these 16 names of Krishna as able to destroy evil. You can hear a recording of the Hare Krishna mantra here. 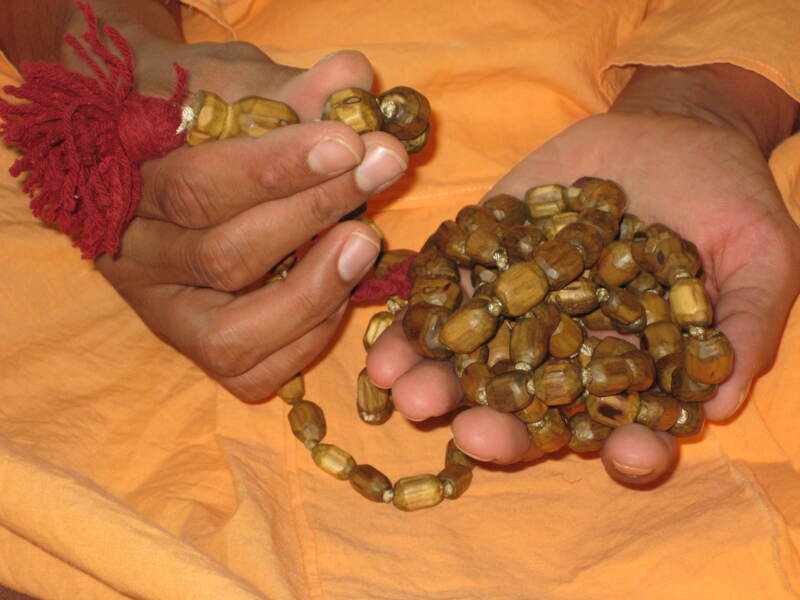 Pandit prays with his beads for two hours a day everyday, beginning at 5 a.m. He carries his beads everywhere in a small cloth bag that he keeps with him. He prays with the beads everywhere he goes in New York City – on the streets, in the subways and on the buses. “What happens is the hand goes in the bag and they are being fingered in the bag. A separate strand of 16 counter beads hang off the bag and you move a bead after each round.” 108 x 16 = HOW MANY prayers a day. Pandit has his own website, http://www.nycpandit.com. I want to thank him for all his time and for sharing these great pictures.